Our company strives to work with our clientele to build landscapes that are long lasting, low maintenance, beautiful and sustainable. We offer landscape design as well as installation and maintenance services. Trending terms like Xeriscape and Permaculture change with each person's understanding; but the core principles of responsible water use and sustainability do not. Botanical inc. is a professional landscape consulting and design firm, specializing in the creation and installation of unique sustainable landscapes. Owned and operated by Ronan Mackey, the company`s goal is to deal with each client individually. This creates focus on site specifications and preferences to transform your property into a native oasis. With over 10 years experience in many diverse regions of North America, including Canada, the Southern US, Hawaii and the Caribbean, we have relocated and recreated many natural landscapes in extreme climates and unique geographical regions. Botanical inc. holds certifications through the Niagara Parks Commission School of Horticulture and International Society of Arboriculture. Along with being a fully insured company, Botanical inc. has many years of project management and landscape experience. A Landscape Construction and Design company with a foundation in Landscape Architecture. Constructing beautiful landscapes in Central Alberta. Designing Throughout Alberta: Residential Landscapes, Commercial Landscapes, Municipal Reclamation and Sustainability Spaces , Small Farms (Permaculture), Sensory Gardens, Healing Gardens, Meditative Spaces and Food Forests. Whispering Pines is a full service Landscape Design & Construction company. We are proud to provide high quality complete design, construction and planting services in and around the city of Calgary. Scott Lennox, owner and operator of Whispering Pines, has extensive experience in all types of landscape construction and design. 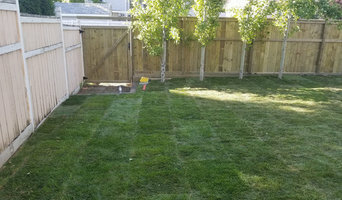 Since 1996 Scott has started and managed some of the most efficient and innovative landscape companies operating in Calgary. While attending Mount Royal University to earn a business degree, Scott started his original venture, Lennox Landscapes Ltd. Whispering Pines, a division of Lennox Landscapes Ltd, is designed to complete your entire project, anything from large acreages to inner city lots. Our design services help to create a vision and our construction services will put that plan into motion. Whispering Pines has a long list of extremely satisfied clients who constantly compliment our attention to detail, our hard work and efficiency, and our polite and professional staff. Please take a few minutes to browse the rest of our web site and if you have any questions regarding our services please do not hesitate to call. PRO-CARE Earthworks Ltd. celebrates its 14th year of provided quality commercial and residential landscaping service to Central Alberta, Canada. We offer a full line of landscape installation services including laying sod and seeded lawn areas, trees, shrubs, mulch beds, paving stone, retaining walls, exterior carpentry, and water features. If you require a Landscape Plan we can refer you to one of the experienced Designers we work with. We pride ourselves on our quality workmanship at reasonable rates, responsive customer service, and a comprehensive landscape warranty program. The loyalty and high level of customer satisfaction we experience has resulted in continued growth of our company through repeat and referral business. Our company is a member of Landscape Alberta Trades Association (LANTA) and all work is professionally completed to industry standards. PRO-CARE Earthworks Ltd. staff include a Biologist, Horticulturist and experienced Landscape Technicians with additional Horticulturists and/or Journeyman Landscape Gardeners hired seasonally. Our team is young and energetic, yet have over 50 years of combined landscape experience. 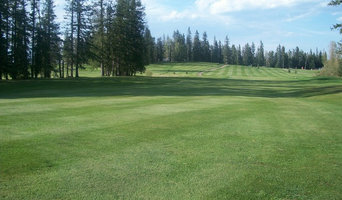 The PRO-CARE Earthworks office is centered between Red Deer, Sylvan Lake, and Innisfail, Alberta. Office hours are 9AM - 4:30 PM Monday to Friday, between April and November, and our customers are provided with after hours contact numbers. Please leave a message if there is no answer. PRO-CARE Earthworks Ltd. hires up to 12 employees at peak season. Our landscape equipment is diverse and includes 3 Ton and 5 Ton dump trucks, a variety of trailers, skidsteers with attachments, tractors with implements and other equipment. Our office, shop, yard and tree nursery allow for efficient mobilization of our crews. Give us a call today and let PRO-CARE Earthworks enhance your outdoor living experience! A properly landscaped yard not only helps to beautify your neighbourhood, but also adds a touch of flair to your home. If your yard is in need of a makeover, let Worm’s Trucking & Landscaping get the job done for you. Worm’s Trucking & Landscaping is a locally owned-and-operated business that provides landscaping contracting services for the Bentley area and beyond. We offer pruning, trimming, gardening and more for homes of all sizes. As a complement to our landscaping contracting work, we also provide sand and gravel maintenance, excavation services, and snow removal during the winter months. Don’t let your landscaping project slow to a crawl. Call the green thumbs that can do it all. Contact us today for more information and a quote. Our company history, dating back almost two decades, began with sourcing and supplying basic rock and gravel products to a small number of rural clients around Central Alberta. Driveway fill for farms, pit runs for construction projects, and landscaping rocks for residential projects are a few of the main products and services we built our foundation on. Battle River Rock & Gravel's reputation for work ethic, fair pricing and on-time delivery meant our client base grew rapidly. So did demand for expanding our product line. Today we are highly regarded as the area’s first choice for: • Screened Topsoil • Limestone • River Rock • Rainbow Rock • Boulders • Washed Rock • Landscape Fabrics • Weeping Tile Our goal for all work entrusted to our company, regardless of type and dollar value of the job, is to provide product and service that exceeds our final price. 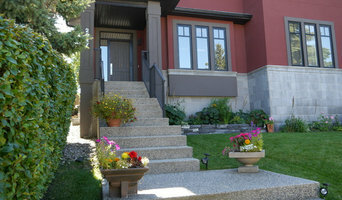 What does a Lacombe landscape contractor do? Landscaping contractors execute lawn, garden and hardscaping plans that have been drawn up by an architect or designer. They may also provide design services on their own. After the everything has been installed, landscape companies can make adjustments, maintain plantings, take care of weeds and pests, and perform other tasks to keep the scheme looking its best. A licensed Alberta landscaper should have detailed knowledge of Lacombe, AB weather and climate trends and conditions, and can choose plants and materials that are well suited to the area. Residential landscape companies in Lacombe, AB also handle many of the same general duties as builders, including arranging for construction permits, hiring subcontractors and making sure that designs comply with Alberta building codes. 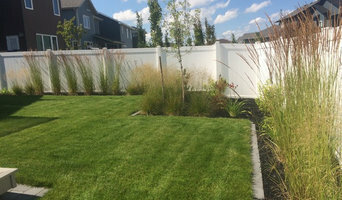 Find Lacombe landscaping services on Houzz. 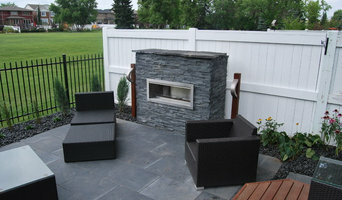 Narrow your search in the Professionals section of the website to Lacombe, AB landscape contractors. You may also look through photos of Alberta landscapes to find one you like, then contact the landscaping company in Lacombe, AB who worked on it.